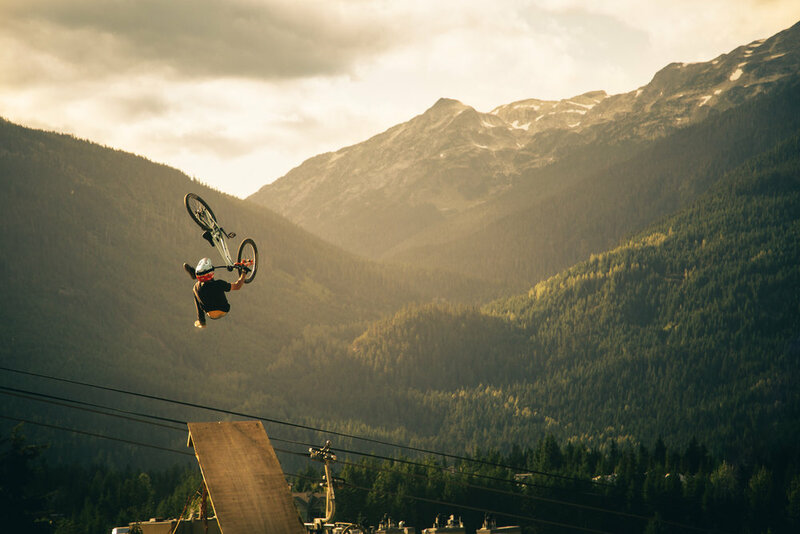 Professional mountain biker Brett Rheeder doing a flip whip during the final practice session before Crankworx Whistler, 2017. For this image I was looking to create a sense of simplicity during the chaos that is Red Bull Joyride. Joe Crosby shot during the filming of our video Transplanted during July 2017. Capturing the last light on the peaks of Tantalus Provincial Park located just outside of Squamish, British Columbia. 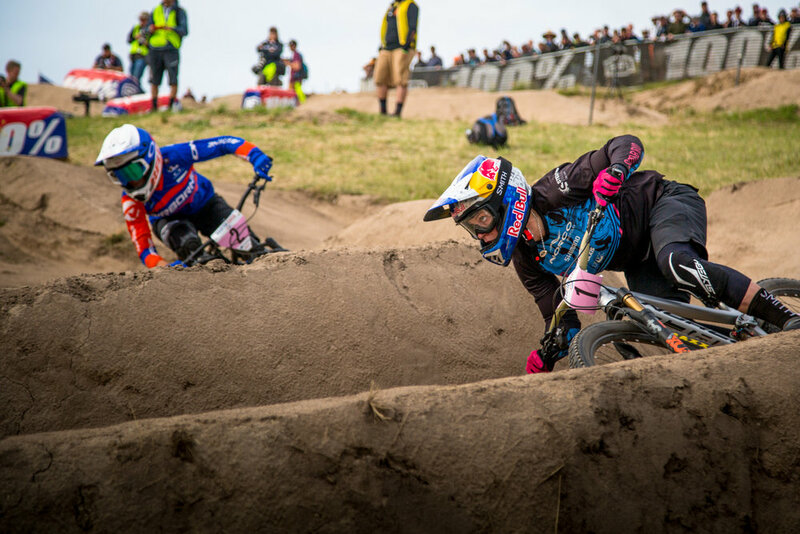 Jill Kintner looks towards victory against Caroline Buchanan in the 2017 Sea Otter Classic dual slalom race. Just the beginning of a battle that went on between the two all year long. Early morning fly fishing on the Smith River in Montana. 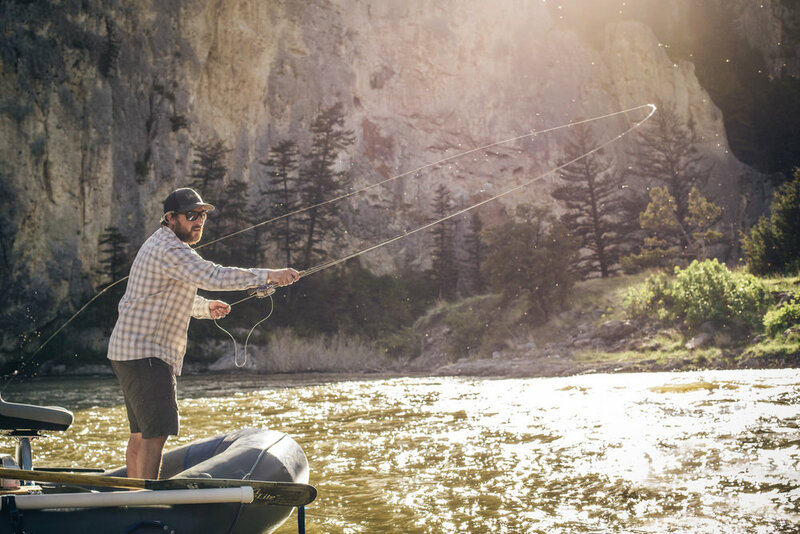 A fly fisherman tries his luck as the sun comes over the ridge into the canyon. Oregon State runner Bronwyn Crossman in Seattle, Washington during a commercial shoot for Topo Athletic. Caroline Buchanan riding Top of the World trail at Whistler Bike Park during a shoot for Bell Helmets just days before the start of Crankworx 2017. 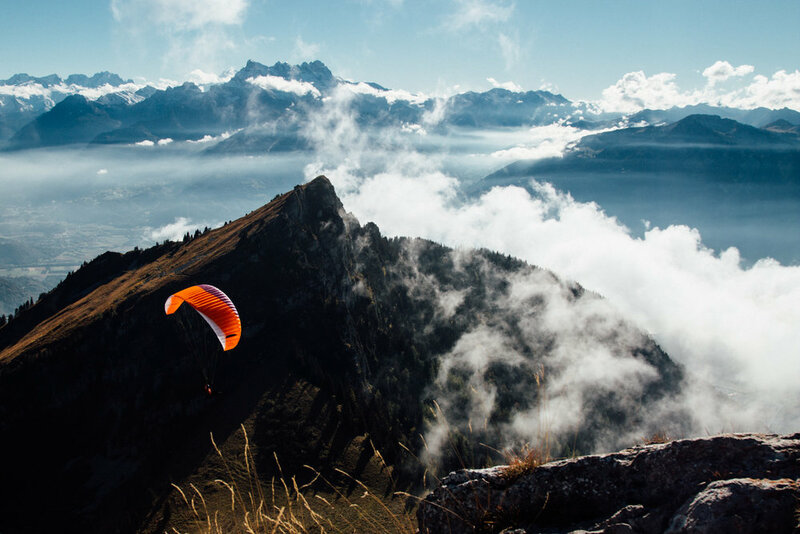 A paraglider floats high above Lesyin, Switzerland. Shuttling the bikes to the top for one last lap as the sunsets over a ridge near Bellingham, WA. Sam Degenhard rides a line close to the canyons edge during a Thanksgiving trip to Moab, Utah. Fanatik Bike Co. Internet Sales Manager, Jadyn Welch, rides a line during a scouting mission for an upcoming photo shoot for their 2017 Get Dirty Buyers Guide. Matt Jones dialing in his flips during practice before the big event at Crankworx 2017. An image taken at Galbraith Mountain during a photo shoot for an apparel guide with Fanatik Bike Co.
Lifestyle imagery highlighting flannels. Taken during a photo shoot for Fanatik Bike Co. during spring 2017. Stylized wheel building photo shoot for promotional materials at Fanatik Bike Co.
Emil Johansson laying it out during Red Bull Joyride 2017. This up and coming has quickly been rising to the top in slopestyle mountain biking. Sam Degenhard riding the desert wave during a mountain bike trip to Moab, Utah in November 2017.